The VFW Companies Group has created a new website at VFWcompanies.com to consolidate its various real estate holdings and operations, now concentrated in the Florida Panhandle. VFW Companies Group, Inc. announced today the launch of its new corporate website at http://www.VFWcompanies.com. The website was a first step by VFW Companies in consolidating its diverse holdings and operations under the VFW Companies umbrella. "Our new website helps establish a next phase of growth for VFW," said Frank Wood, Jr., Chairman and CEO of the VFW Companies, "although our various projects are related strategically, we haven't taken advantage of the combined presence of our activities, for banking, for purchasing, and in establishing additional strategic partnerships." The VFW Companies is an active homebuilder, commercial developer, and general contractor, with an in-house services team providing comprehensive property management and operational support. The Company leverages its expertise in these areas with a matrix-style project management and implementation organization that includes third-party design, construction, and consulting professionals. 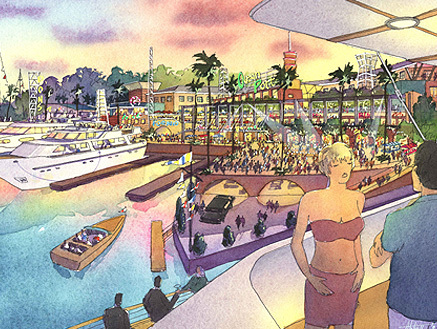 "Our current projects include Rebecca's Landing, a 70-acre mixed-use town center and Annabella's Townhomes, a master-planned residential community," according to Mr. Wood, "we have also launched a First Unit in Bella's Place Self-Storage or a possible self-storage business roll-out, and we've got a rather large new venture, almost 1,000 acres, that we're excited about that we'll announce as soon as we have the concept and project team fully realized." The VFW Companies Group, Inc. was formed by Frank Wood, Jr. in February, 2006 to act as the umbrella organization for a diverse portfolio of projects. The VFW Companies Group has invested significantly in real estate in Florida's Panhandle, focusing initially on Panama City Beach and greater Bay County. The Company is now expanding its project focus to encompass additional opportunities throughout Northwest Florida. Real estate in Panama City Beach has been a major focus of the Company since its inception. Panama City Beach is the heart of the Bay County region, and a major driver in Florida Panhandle economic development, a fact that is expected to be even more evident as the new Panama City Beach - Bay County Airport moves into construction. VFW Companies Group is actively exploring next opportunities for its portfolio, and welcomes submissions that describe potential acquisitions or investment, recognizing the company's focus in Bay County, Florida, and throughout the Florida Panhandle. Submissions may be directed to VFW's representative, StoneCreek Partners LLC, a California-based organization led by Donald Bredberg. If a prospective acquisition or investment opportunity is elsewhere in the Southeast U.S., such projects may be considered if clearly within the core competency and interest of the Company. Property types of most interest to the Company are those that are within its existing core competencies. For more information about this media release, please contact David Mitchel at Adventure Entertainment's iMedia unit (http://www.adventureEC.com). The VFW Companies Group, Inc.
Rebecca's Landing Town Center, artist's view from restaurant row to Lakeshore DriveJPEG image. 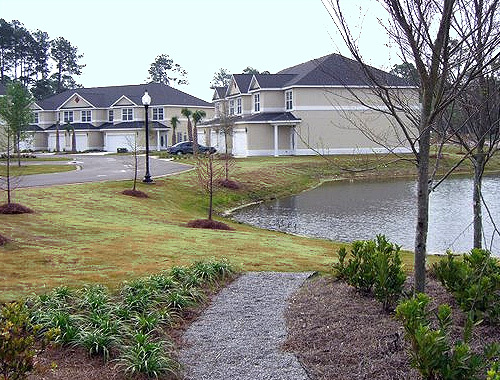 Annabella's Townhomes, view across common area lake's edgeJPEG image. 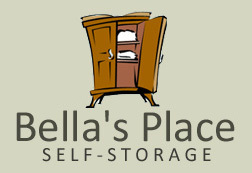 Bella's Place Self-Storage, LogomarkJPEG image.